Acquired Book By: I decided to join the “Blogging for Books” programme (on 9th July, 2014) which is a book for review programme created by the Crown Publishing Group. 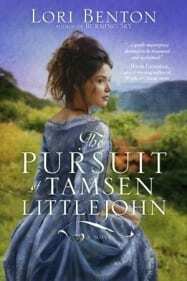 I received “The Pursuit of Tamsen Littlejohn” at the end of July, and had 90 days in which to post my review. 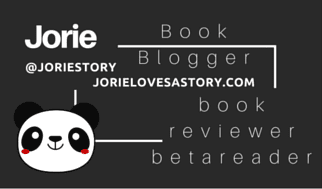 As a book blogger you are offered books in exchange for an honest review on your book blog as well as the ability to reach new readers when you cross-post your review to the Blogging for Books website. 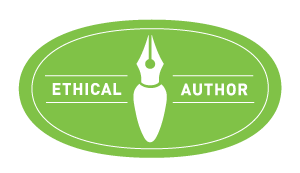 The benefit for the blogger is exposure as a reviewer as they put direct links back to your blog post on the book you select to review as well as your homepage. Therefore, this is my first review as a new book blogger in the programme. I received a complimentary copy of the book direct from the publisher WaterBrook Multnomah, in exchange for an honest review. I did not receive compensation for my opinions or thoughts shared herein. I appreciate compelling historical fiction stories that curate within them a fusion of heart and soul inside the narrative itself. I appreciate reading stories of anguish and angst, where in the ending you feel as though the characters who have walked the hardest path have found not only resolution but redemption through what oppressed them. I have always held a soft spot for stories set in the American West, in the wild lands between the Coasts before progress and civilisation came into existence. There was a lot of untamed townes and cities, where lawbreakers outnumbered the peacekeepers, and where the rules of propriety between the genders was dependent upon the beliefs and views of the individuals you encountered. I always felt a championing spirit by uncovering the stories that knitted together the realism of the generation where the stories were set but placing within their pages a lead character who could tether your own spirit straight into the story itself. I like taking the journey with a character whose moxie and grit of determined spirit not only inspires you as you read her story unfold, but gives you a hearty prose to stay with you after the book is put down. I love finding writers who stitch their stories alive with an intensity that pulls back with a grace that illuminates the action through a gentle hand of how a story can take you somewhere unexpectedly cosy to visit. Lori Benton was raised east of the Appalachian Mountains, surrounded by early American and family history going back three hundred years. Her novels transport readers to the 18th century, where she brings to life the Colonial and early Federal periods of American history, creating a melting pot of characters drawn from both sides of a turbulent and shifting frontier, brought together in the bonds of God’s transforming grace. When she isn’t writing, Lori enjoys exploring beautiful Oregon with her husband. The opening of The Pursuit of Tamsen Littlejohn brought me back to my readings of Westerns, as there has been a bit of a gap between my readings of frontier life, the open plains, and the trappers who called the woods their home. Cowboy fiction was a bit of a sub-genre of interest for me, and as I started to settle into Jessie Bird’s life moving cattle across the open lands fraught with Native American attacks, it drew me back into the worlds I used to alight inside quite frequently. There is a raw freedom to living off the land, curating your own hours, and taking it upon yourself to draw out a stipend of a living by any which means you’re able. Jessie felt a bit hardened by his lifestyle of choice, but optimistically hopeful about his future at the very same time, wondering why his bunkmates felt it necessary to gloat about another man’s fortune of matrimony when he hadn’t yet found a gal to fancy himself. I enjoyed seeing a working agreement between the Native Americans and the cowboys, as they were each looking out for each other when a raiding group of rebels attempted to cut the herd by a river. Whilst the men hunkered down for the night by firelight, Tamsen Littlejohn herself took her cue to enter into the story within the next chapter. The segue felt natural to me, as Tamsen’s ability to strike a scene so vivid and endearing of courage held my breath as I watched her handle Ambrose Kincaid’s unsettling display of diffidence towards someone he employs like the true champion I felt she was all along! Tamsen Littlejohn doesn’t seek out trouble, but trouble finds her all the same, yet it is her firm beliefs in what is right and wrong in life that anchor her to speaking her mind when the occasion rises to be filled with words of truth. The 18th Century was not the time of acceptance for expressing the rights of slaves but there were a few who understood the greater scope of the plight all slaves faced and happily I found Tamsen Littlejohn a woman who stood on the side of justice and freedom. The vile nature of Tamsen’s step-father is enough to see the world painted black and tarnished with a fear that will not end unless you find the bravery necessary to escape – my thoughts were aligned with Tamsen as she plotted to sort out a way to ferret out of his plans. The man had no filters nor boundaries of causing violence inside his home, as he attacked Tamsen’s mother with such a harshness and cruel smugness that I couldn’t wait to see Tamsen exit the house to gain her freedom. Her mother was too passive to understand that staying was not the better option, but watching Tamsen realise the error of her mother’s choices was guttingly emotional. I had a bit of difficulty staying inside the story after Tamsen starts to make her way out from the shadow of her step-father, not because the writing of the story wasn’t on the same caliber as the first half of the novel itself, but because the intensity of Tamsen’s life never felt like it was going to lesson. I was hoping that once she was out from underneath her step-father’s control, she could start to put the pieces back together, whilst forging a new life and identity elsewhere. The circumstances she left under and the origins of her own heritage she learnt on her mother’s deathbed painted a true portrait of how this story was going to be an emotional read from start to finish. For me personally, it felt a bit too emotionally churning as each time Jesse and Tamsen were a step closer to being on stable ground, something else would alight on their conjoined path and upset the apple cart so to speak. The harsh reality felt a bit crushing at times, and a bit of a difficult reading when your used to having the heaviest bits lesson a bit after awhile. Benton has the graceful stroke of understanding the importance of the historical perspective of her story as much as giving realism to the era in which her characters lived by allowing them the chance to speak in words & phrases that would have been readily known. She leaves a breath of intrigue in only giving out certain pieces of information at different junctions of time, giving you a full pause and a measure of wonder at where she is going to guide the story next. She cleverly masked the worst of the brutality from Tamsen’s step-father by giving just enough to feel the full measure of his wrath without pushing the envelope past what you can stomach inside of a historical inspirational novel. I wanted to thank the Blogging for Books programme for giving me the opportunity to read this novel! I had hoped to post my review over the Summer, and not on the deadline of 90 days after I received it! I simply had too much on my plate this Summer, and I regret that I was delayed until now to share my thoughts about reading my first Lori Benton novel! The grace of understanding the staff of Blogging for Books gave me in this regard was a true blessing! I am going to wait until mid-November before I make my next selection for Blogging for Books, to allow myself to have more time to soak into my next novel I accept for review through their programme for book bloggers! I am thrilled I can find Inspirational novels like this one available on their website! What are your favourite Inspirational Fiction stories to read? Do you find yourself captured more by historical settings or contemporary modern life? What do you appreciate the most by finding a strong lead character such as Tamsen Littlejohn who defies her era by standing strong in the midst of danger?